Birthday Gifts for Corporate Employees! 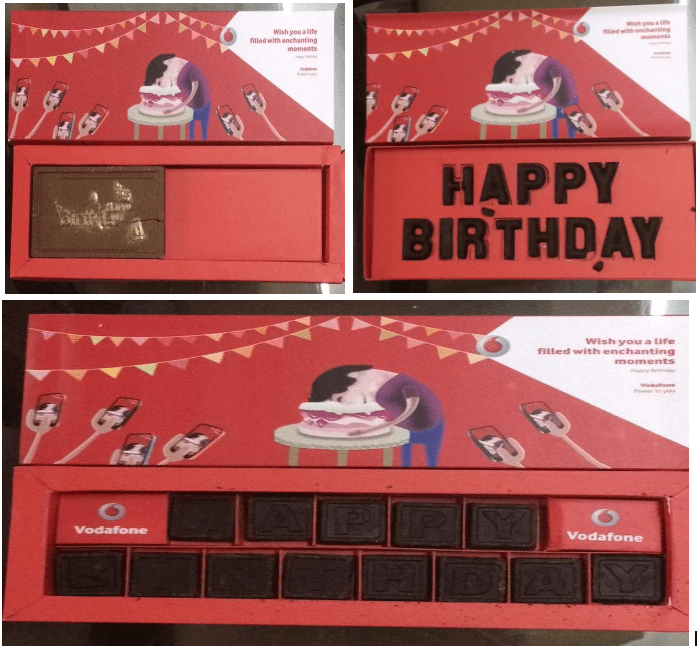 Human resource department has a mandate to keep the employees excited and happy and the best way to achieve the same in a cost effective manner is to give gift chocolate box to each employee on their birthday. Depending on the budget the gift hamper can be prepared and given to HR department at the beginning of each month which they can distribute to each team to be handed over to the eligible employee on the respective day by the particular department. Apart from giving the gift the colleagues too get a chance to remember and wish the particular person as the same is celebrated by the closed knit team. 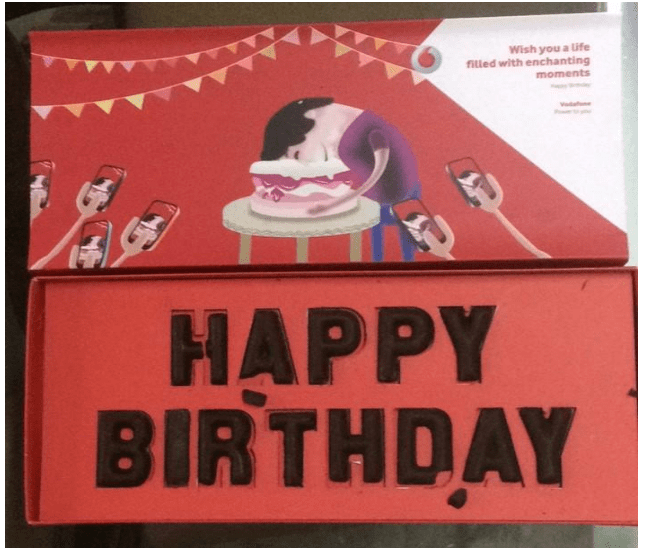 Few enterprising companies have designed a box with “HAPPY BIRTHDAY” written as a piece of the chocolate thereby involving the families too when the person carries the box back home in the evening. Now every employee looks forward to their birthday when the day will be celebrated by his close knit team or by the whole department. We have already designed the below three choices for you to select from images of which are displayed here for your kind perusal. Depending on the budget you can select the box which is made of Belgian chocolate with dry fruits filled in for the mouth-watering taste. The shelf life is almost 3 months ensuring that the wastage is minimised and recipient enjoys the gift! We can give you as low as 50 to 100 boxes every month within your defined budget to excite your employees, dealers or associates. If the budget for the celebration is higher than we can always add another gift apart from the chocolate making it a combo pack! Younger audiences can be given collapsible headphones whereas the BPO prefers an alarm clock or a small fan to be used with all types of the mobiles. The gift is very handy in our country due to high temperature and can be used anywhere by plugging in to the cell phone. It is immaterial if you are at the park or balcony or taking a walk a handy fan is keeping you cool and comfortable. Another attractive gift is a flat water bottle which you can carry in your briefcase or folder and that too with another compartment for the medicines, light snacks or concentrated liquid to be mixed with water while one is on the move. Once we get brief from you as to the profile of the recipient and the purpose of your gift we can decide the perfect birthday gift for your near and dear ones. There are times when due to lack of support from the manufacturers you are unable to execute various ideas to excite your target audience. Please feel free to speak to us so that jointly we can ensure that your target audience is always excited. We always try to remember and live up to our slogan of SPARKET COEPORATE GIFTS for pleasant surprises! ← Launch of New Ideas at Gifts World Expo 2016!